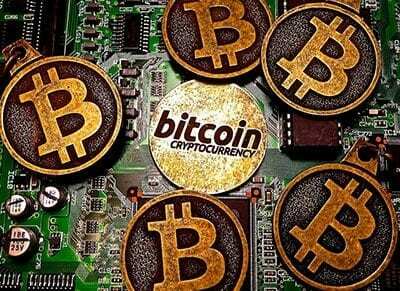 Bitcoin (BTC) is an alternative virtual currency popular in the digital space and the esports betting scene, used by many fans in place of traditional cash to bet on their favourite esport games like Call of Duty, Counter-Strike: Global Offensive, Halo, League of Legends, Overwatch, or Starcraft II. If you want to find the best esports betting sites accepting bitcoin as a deposit and withdrawal option, read our full guide below. Bitcoin is 100% safe for people betting on esports and you can use it as your chosen currency when betting on esports markets at online sportsbooks such as Bovada and Nitrogen. Why? Because it’s the most popular alternative digital currency in the entire world and several sportsbooks offer it as a deposit and withdrawal option due to massive demand from their registered players. A recent study by Cambridge University found there were 2.9 to 5.8 million unique users worldwide using a cryptocurrency wallet, with the majority of them choosing to use Bitcoin; it’s also enjoyed a surge in popularity thanks to the cryptocurrency surpassing the market value of an ounce of gold for the first time ever in March 2017. Since last reported, bitcoin as a whole holds a total market value of over $4.5 billion and is accepted by over 100,000 merchants and vendors, including big names like Dell, Microsoft, NewEgg and PayPal. So if you were ever worried about its legitimacy or if it’s still some Wild West experimental cryptocurrency, take peace-of-mind in the fact it is has definitely taken off in the mainstream since its original inception in 2009. Bitcoin is a decentralised type of money which only exists on the Internet, separate from all existing financial banks and institutions. It’s also completely Web-based, with no physical presence. Bitcoin runs on a worldwide peer-to-peer (P2P) network and is essentially an asset managed by people on the World Wide Web, and BTC is sent and received in a manner similar to how P2P networks function in torrent communities – only a whole lot faster and safer. Bitcoin also has a fixed amount which can be generated at one time, up to a maximum of 21 million BTC. People send and receive bitcoin using special software clients, downloaded to your desktop computer, laptop, mobile smartphone or tablet. These clients act as virtual ‘wallets’ where you store your bitcoin and send it to others when making payments – in our case, depositing into online sportsbooks to bet on our favourite esports matches and players. Some of the best and most trusted BTC wallets we recommend esports fans use include Armory, Breadwallet, Bitcoin Core and Electrum, as they give you full control of your money and no other third-party has to authorise transactions or are able to retain encrypted copies of your wallet. A public ledger called a ‘block chain’ is what manages and records all bitcoin transactions made online, including those we make at Internet sportsbooks. Think of each block in the self-titled chain as a digital receipt which publicly records every single BTC fund transfer, all of which can be viewed at www.blockchain.org. Bitcoin ‘miners’ manage the block-chain by verifying all transactions and generating new bitcoins via the ‘mining’ process which builds blocks which are then added to the block chain. Mining is essentially a maths problem with complex algorithms solved by creating heat energy with raw computer power – all miners are compensated for their efforts with more bitcoin. You don’t need to use credit cards, debit cards or your bank account to make payments, purchases and online betting with bitcoin, which is why it’s popular with a lot of esports fans looking to place bets on their favourite teams and players while wagering from computer or mobile devices. As mentioned in the section above, you need to sort out a bitcoin wallet to store and send your bitcoin from. After you have set up your bitcoin wallet, you can add funds using real dollars at a regulated bitcoin money exchange (make sure you do your research for the best possible exchange rate), or even bitcoin for real money. It may take some time to process due to identification verification, which is necessary to proceed at most exchanges. From here, you send the bitcoin you have bought from an exchange to your wallet, and once it is in your wallet, you can proceed to the online sportsbook’s banking/cashier section that you wish to bet at. Choose bitcoin from the list of deposit options (when depositing betting money) or withdrawal options (when taking out winnings in bitcoin) and enter the desired amount you wish to deposit or withdraw. It’s practically similar to any other traditional payment method offered at online sportsbooks. 1. BetOnline.ag: BetOnline offers a up 100% bitcoin match deposit bonus on your first ever deposit for new users who sign up through our links. The minimum deposit is $20 to be considered eligible for the bonus, and the maximum amount BetOnline will match is $1,000 – meaning you can get $2,000 in BTC to bet on esports with right from the get-go. Make sure to use the special promo code, ‘BTC2017’ at the checkout while processing your Bitcoin deposit. 2. Bovada.lv: Bovada offers a 50% bitcoin match deposit bonus up to $500 for all new sign ups who deposit with bitcoin via our special links. Make sure to use the bonus code ‘BVSBITCOIN50’ when you deposit at Bovada Casino. The bonus can be used on all available esports betting markets at Bovada, including CS:GO, Dota 2, League of Legends and StarCraft. Bovada currently has a limited range of available esports markets for members to bet on, but it’s gradually growing and is a recommended and trusted sportsbook. 3.Nitrogen: This sportsbook is entirely powered by bitcoin wagers and has one of the best selections of esports betting markets, offering bets for the most popular games and tournaments such as CS:GO, Dota 2 and StarCraft II, but also many other esports markets not always offered at other comparable online betting sites, such as Halo Championship Series, Heroes of the Storm and Overwatch. 4. Bumbet: Bumbet offers 100% match bonus up to $65 USD for your first bitcoin deposit and is especially tailored to South American esports fans looking to place a safe bet on the Web. Why use bitcoin at esports betting sites? Bitcoin is fast, secure and really simple to use once you set up a wallet and begin using it for deposits at online sportsbooks such as Bovada and Nitrogen. It has little to no transaction fees (usually anywhere from 0% to 2%), hidden or otherwise, such as the annoying fees associated with traditional payment methods such as credit cards or direct bank transfers. Several sportsbooks who offer bitcoin as a deposit and withdrawal option also make BTC transactions the cheapest way to get money into your betting account and begin wagering on your favourite esport teams and matches, with tons of bitcoin-specific sign up bonuses and promotions to boost your betting account’s starting balance. A major pro for bitcoin is the extra privacy it ensures. While all licensed bookmakers we recommend and all the other popular payment types people use such as credit cards have the highest standards of 128-bit Secure Socket Layer digital encryption technology and other security systems in place, it is understandable some people want additional peace-of-mind when betting real money online. If you use bitcoin to deposit betting money into your sportsbook account and withdraw your potential winnings, the betting site in question does not have your personal and financial information on record. With bitcoin, every transaction is extremely safe because a new address and private key is generated. They are one-off codes used to guarantee the ownership and validity of your bitcoin transfers. Finally, bitcoin ultimately benefits the user the most; because it is decentralised, there are no banks, no government groups or third party organisations for you worry about when managing your funds. It’s just you in control of your bitcoin wallet. 1. Mitigate your risks by using more than one wallet to store and spend your bitcoin. 2. Always use a downloaded bitcoin wallet client, not one located online which requires third-party verification/hosting. 3. When buying bitcoin from a peer rather than an exchange, only choose trusted sellers with good reputations.